Silvano Gallo was already a recognized winemaker in the far northeastern Italian region of Friuli back when the nearby bordering country of Slovenia was still part of the Socialist Federal Republic of Yugoslavia. 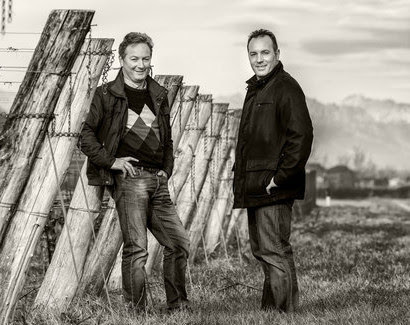 Today, Slovenia is an independent country and member of the European Union and Silvano’s two sons, Fabrizio and Marco, have propelled the family-run winery of Masùt da Rive into one of Friuli’s exemplary producers. The Gallos cultivate 54 acres of vineyards nestled in the valleys along the Isonzo River where the mild maritime climate helps to elaborate wines with full phenolic ripeness while maintaining freshness. The family treats their vineyards like a garden and minimize mechanical aids to reduce carbon emissions and prevent exhaust fumes from drifting over the vineyards. Although they are not certified organic there are no chemicals applied to the vines. The winery is fully sustainable with all energy needs supplied by solar power. Winemaking in Friuli goes back to pre-Roman times when the ancient Veneti tribe were growing vines there but ethnic contrasts have almost always been a way of life in a place where Italian, Austrian, and Slavic cultures collide. The region’s aptitude for viticulture is reflected in wines with fresh fragrance, crisp fruit, and charming textures that speak of its history as well as the present. 100% Pinot Noir from chalky, gravel soils on southeast exposures. Much like the region’s cultural mélange there’s a mix of native and international grape varieties allowed in Friuli. The Gallo’s believe that they have a superior climate zone for elaborating Pinot Noir to reflect both the fruit and the place. Indeed, their Isonzo “Pinot Nero” is a fine example of the textural balance one might find in a wine from the Côte de Beaune, with an aromatic vibe that seems both Italian and universal at the same time. The wine was fermented in stainless steel tanks and aged in French oak barriques (50% new, 50% 2 year-old barrels) for 12 to 18 months. An additional 12 months of bottle aging is done prior to release. 100% Friulano from chalky, gravel, and clay soils on southeast exposures. The Friulano wine grape was formerly known as “Tocai Friulano” until the late 2000s. Although its origins date back to the early 17th century in Friuli, Hungarians successfully argued that there is a danger of confusing the fresh, crisp, aromatic whites made from “Tocai Friulano” with “Tokaji,” the golden dessert wine of northeast Hungary. 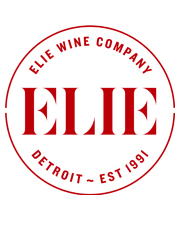 The grapes were whole cluster pressed and the juice fermented and then aged in stainless steel tanks for nine months. There is an additional 6-8 months bottle aging prior to release. The result is a fresh, well-balanced wine brimming with floral aromatics and finishing with a touch of bitter almond.